The story of how humans first got to the Americas may very well be wrong if new research is to be believed. In a new study published Wednesday in Nature, Danish, Canadian, and American researchers posit that the oft-repeated narrative that the first people to enter the Americas did so via the Bering land bridge connecting present-day Russia and Alaska is bunk — mainly because there wouldn’t have been enough food and vegetation growing in the area to support human life as it passed through. While long-accepted as the credible theory for how the Americas became human-populated, the theory has suffered from a general lack of — or at least conflicting — data. For instance, in May archaeologists found some nearly 15,000-year-old stone tools and butchered mastodon bones in the bottom of a Florida river, suggesting that the first Americans in the region arrived around 1,000 years earlier than previously postulated. Likewise, no evidence of the Clovis people — those who would have crossed the bridge — has been found in Alaska or Yukon, where one might expect to find remains of their passage. These findings, coupled with the “miserable conditions” that these travelers would have faced while crossing the bridge, prompted the researchers to assess the likelihood that this happened in the first place — and through novel means. 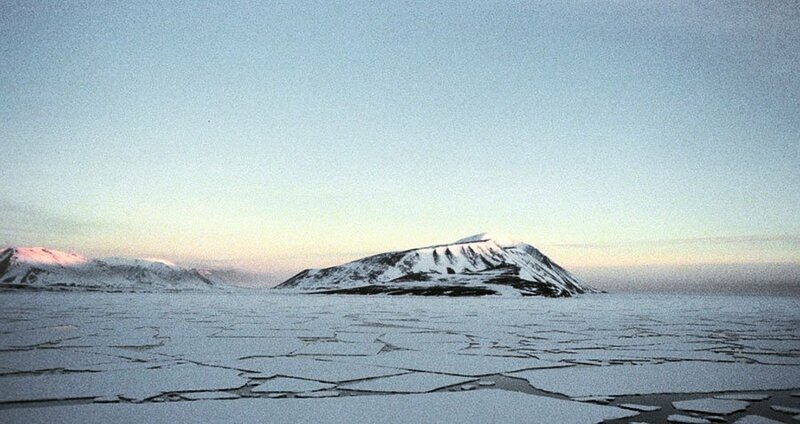 Utilizing an emerging field of research called environmental DNA (eDNA), scientists dug ancient ice cores out of regional lakes, in which they were able to analyze sediment that existed at the time of the early humans’ supposed crossing, helping paint a general picture of a given era’s ecological conditions. Coupled with radiocarbon dating and the collection of pollen, data revealed to the researchers that by the time there was enough flora and fauna to make the bridge biologically viable for human migration, the first Americans would have already passed through. So how did these early humans get to the Americas instead? While the study affirms that later migrants may have taken the passage, the first wave of “Americans” likely took a more westward path along the Pacific coastline, parts of which are now underwater. Next, have a look at the fascinating archaeological discovery recently made at the very first European settlement in the Americas. Then, check out ten American history myths you probably believe.